The best B&B ever! 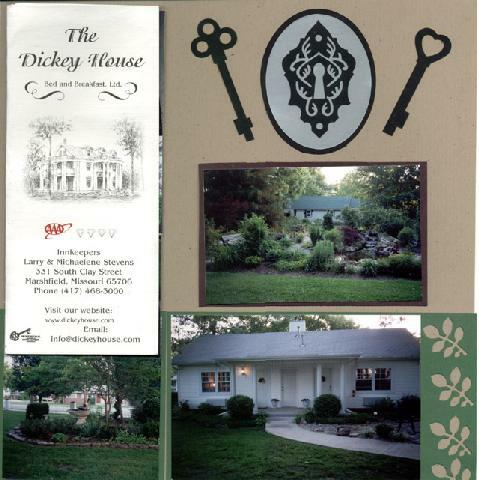 If you ever want a romantic evening check out The Dickey House in MO on the internet. Cabin with Jacuzzi tub for two, candles, bath oils, bath pillows, canopy bed, fireplace! Full breakfast. Everything you could want! They even have weddings in their yard!